They look like they are sugar coated Wendy! How beautiful. Like Pia, I think that would make a beautiful Christmas card. Hey Wendy, sorry for not being around in a while. I had some problems with my computer and had lost all my feeds and I am still in the process of gathering them again. 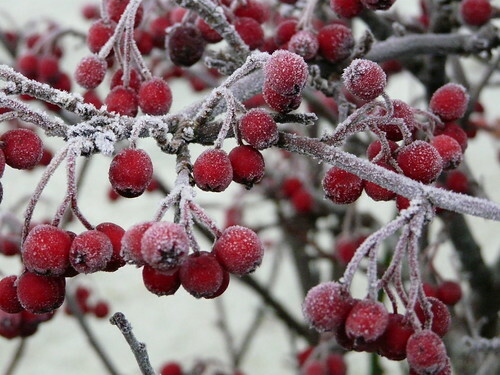 I agree with others that this would make a gorgeous Christmas card – glad you are finding some beauty in the cold! Pia – I thought so and almost didn’t post it for that reason. But that’s what garden’s look like here just now! Cynthia – Hello! Lovely to hear from you again. Hoping to get your book soon. Very excited! Johanna – I adore the cold. Just not so wild about the dark.